Most people have heard the saying "Faith the size of a mustard seed", which is a religious saying that is found in the Bible for those who follow the Christian faith. 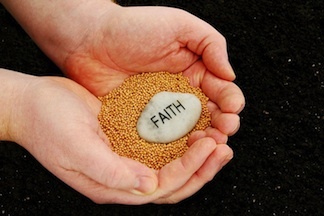 The mustard seed is very small in size, and the quote is supposed to represent always having faith, even if it is at a small scale. 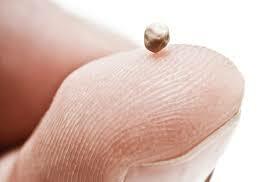 But the mustard seed is not just a religious proverb. It is actually the inception of something great, a mustard sauce! Mustard Seeds come from the mustard plant and are usually about 0.039 to 0.079 in diameter. 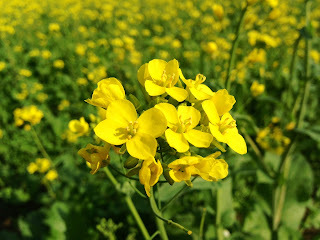 There are 3 main mustard plants: black mustard(Brassica nigra), brown Indian mustard(B. Juncea), and white mustard(B. Hirta/Sinapis alba). One of the most popular names for the mustard seed is "eye of newt". This name has been often associated with witchcraft since Shakespeare's "Macbeth" mentioned the name. Mustard seeds grow in the Meditteranean Europe, North Africa, and the Middle East. These miniature seeds are mixed with water, vinegar, lemon juice, wine or other liquids along with seasonings such as salt to create what we know today as mustard. Mustard is an English word that derived from the Anglo-Norman "mustarde" and Old French "mostarde". The first part of the word "mustum" is Latin for "must" or young wine. Mustard has a very powerful tangy taste to it. So for all those who dare to say they don't like wine, but eat mustard, ask for forgiveness because you have probably committed the sin of lying. It's ok. I won't tell anybody. Mustard sauce is a very strong tangy sauce, that probably is not very pleasurable to eat alone. There is an old wise tale that says that a few spoons of mustard will help with cramps. I can remember many times having to go to the kitchen for my grandma to get her a spoon of mustard after a long day of work. Mustard is very popular on hot dogs and roast beef but can be eaten as a sauce on anything. 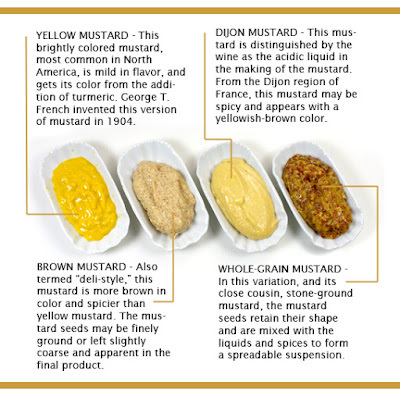 There are even different variations of mustard such as honey mustard(one of my favs), dijon mustard(more on the spicy side), brown mustard, whole grain mustard, and sweet mustard. As time goes on people get more and more creative and now there are even glazes, shakes, dips, and more! What is your favorite variation of mustard? Leave a comment below!